Sometimes some of the best places to grab a quick bite when hunger strikes are random spots you happen to wander into. 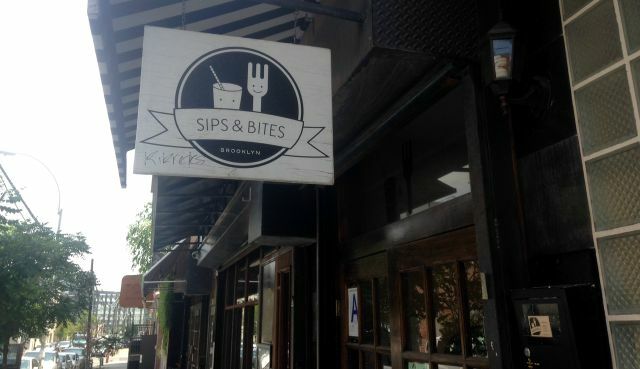 Sips & Bites in Williamsburg, Brooklyn is just that type of place. A couple months back, the Rookie Chef crew spotted S&B down the block and decided to give it a try. The quaint cafe offers an impressive sandwich lineup, beautifully displayed on their side wall. 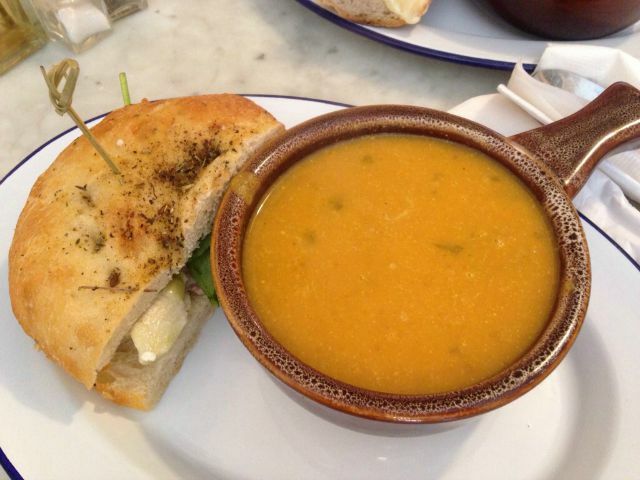 For our first taste, we each went with a soup & sandwich combo. 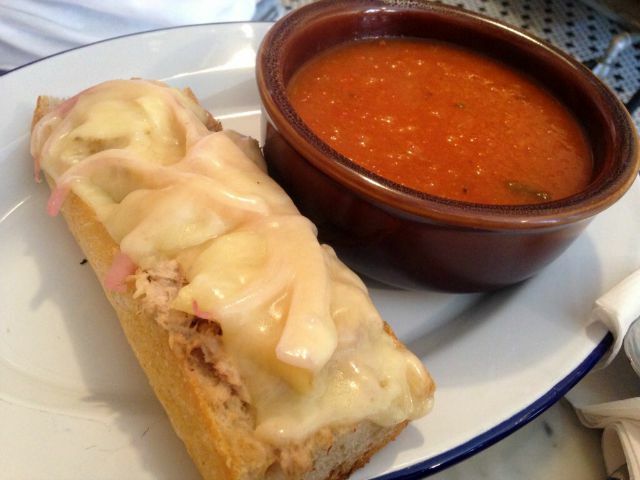 First was the Clearwater (lemony tuna salad, pickled onions, potato chips and melted cheddar cheese, served open on baguette) paired with a flavorful tomato bisque. Next we went with the Teatown (oven roasted chicken, artichoke hearts, baby spinach, Parmesan crunch and garlic-artichoke aioli on herbed focaccia round) with a carrot ginger soup. The ideal kind of place you would want to experience when looking for that light meal at a soup/salad/sandwich spot, Sips & Bites nails it. Take a look at the full menu they have here for more variations and dishes. And if that doesn’t do it for you, here’s a taste of their Instagram page, highlighting some beautiful creations from the team. Tags: aioli, artichoke, BROOKLYN, CHICKEN, focaccia, LOCAL EATS, New York, quick bite, ROOKIE CHEF, Salads, sandwich, Sips & Bites, SOUP, Tuna Salad, WILLIAMSBURG. Bookmark the permalink.